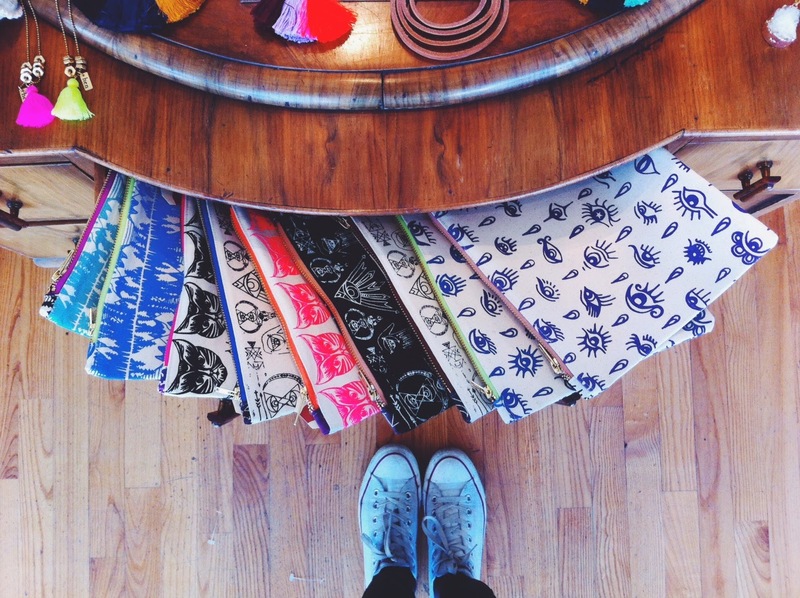 Prints & Needles is a new line of pouches we're now carrying at all three shops. 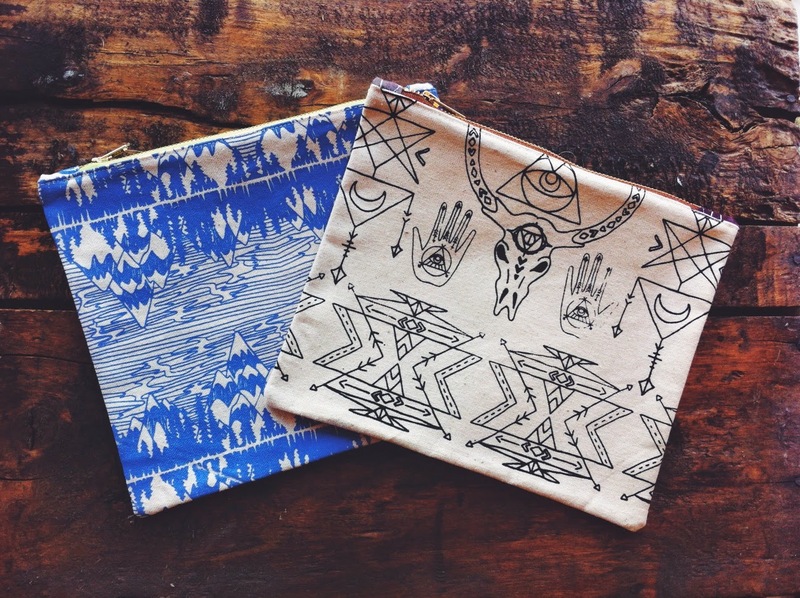 These good are designed by Natalie Eldershaw, a multidisciplinary artist from Burlington, Ontario. 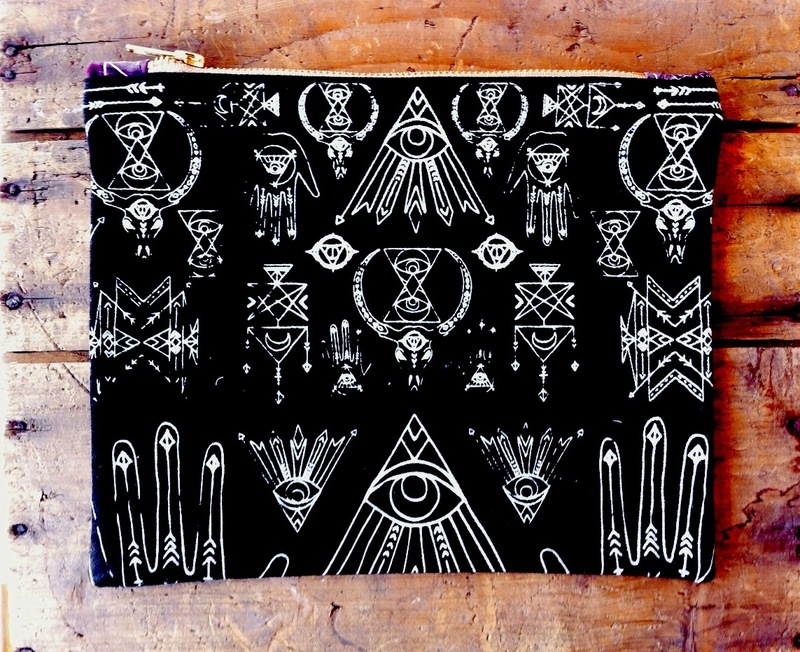 This super talented textile designer screen-prints her wicked illustrations herself! 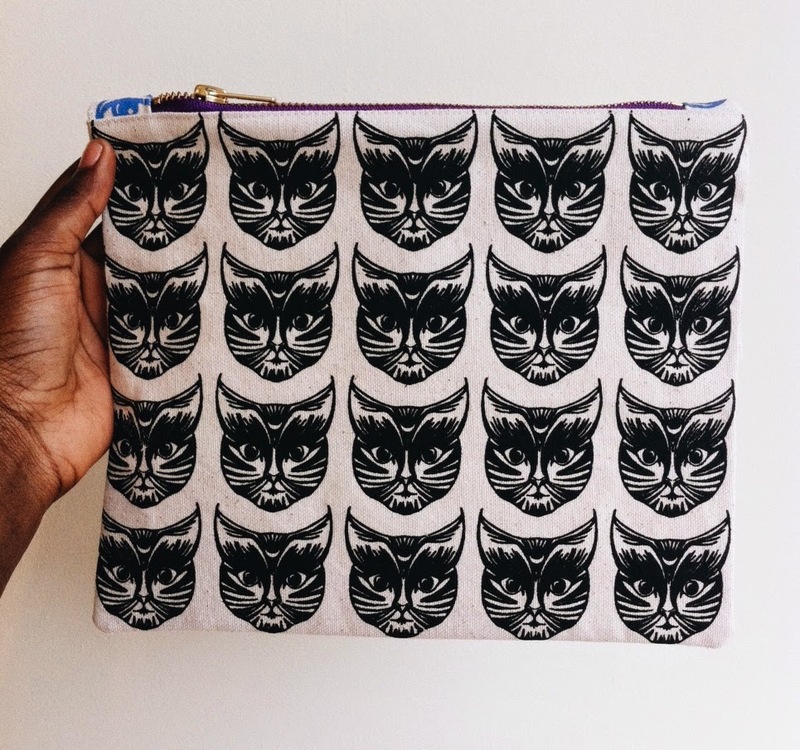 Use it as a clutch to bring an outfit up a notch or as a makeup bag or pencil case. They're pretty eye catching and range from neutral color palettes to more bold ones. Take a gander below! Available in a variety of prints at all 3 shops and a select few online. All 35$.